Deaf since early childhood, Caleb Zelic used to meet life head-on. Now he’s struggling just to get through the day. His best mate is dead, his ex-wife, Kat, is avoiding him, and nightmares haunt his waking hours. willing to sacrifice along the way? Returning to Resurrection Bay means dealing with events he’d rather forget but the death of the girl who comes to him for help in Melbourne means that Caleb Zelic has no choice. He has been working in Melbourne as an independent investigator but he really has few clients. The contact details for him that the girl had were written on a receipt that came from Resurrection Bay and the first person he asks about her is able to identify her. Immediately after he visits her father Caleb is attacked and warned off. As he investigates further Caleb realises that there is a trade in ice happening in Resurrection Bay and trying to work out who is behind it gets more and more dangerous. A young aboriginal man is murdered and at his funeral Caleb meets up with his wife Kat and her family. There are a number of very complex relationships in this novel, and the picture painted of the small coastal community of Resurrection Bay is very grim. I had trouble remembering what happened in the original title in this series, and my advice to the reader would be to read them in order. an unprecedented three Davitt Awards: Best Adult Novel, Best Debut, and Readers’ Choice. Resurrection Bay was iBooks Australia’s Crime Novel of 2015. 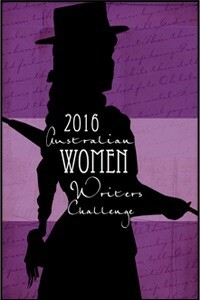 She has also won the Ned Kelly and Thunderbolt Awards for her short form fiction. A classically trained clarinettist, Emma’s musical career has ranged from performing with José Carreras and Dame Kiri Te Kanawa, to busking in the London Underground. Emma studied Australian sign language (Auslan) in order to write Resurrection Bay. RESURRECTION BAY does not waste any time letting you know what kind of book it’s going to be. It opens with one young man cradling the presumably lifeless body of a mate while paramedics look on warily. At least Caleb Zelic assumes Gary is dead. “Had to be dead. Couldn’t breathe with his throat slit open like that.” Indeed. We then piece together that Caleb and Gary were childhood mates. Caleb, runs a private security company and had asked Gary, a policeman, to help him on an investigation. Which has apparently resulted in Gary’s death. Fueled by a mixture of guilt, paranoia and a desire for justice Gary and his business partner, a fifty-something, female, ex-cop called Frankie, search for the killer. They are thwarted by having precious-little information with which to start, not knowing which police officers involved in the official investigation are corrupt and which aren’t and an assortment of personal baggage that could, in fact does, derail them at any point. It’s bloody gripping tale that doesn’t let up for a single one of its deliciously short 262 pages. That alone would be enough to recommend it. But there’s more. Its characters are intriguing. Imperfect, sometimes outright daft, fallible. Humans. Caleb is profoundly deaf from a childhood illness. He prefers to lip read and talk to communicate though he signs as well with people he loves. What he won’t do – to the point that it sometimes causes him more harm than needs be – is let on when he needs help. For reasons that a psychologist wouldn’t need too many billable hours to discern, I found this quality, this stubborn pride or whatever it is, endearing. Though at the same time I could understand why it drove his ex-wife mad with frustration. 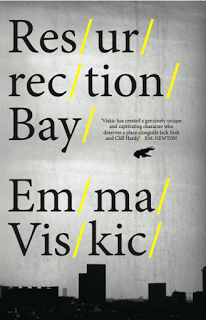 Without making a show of it Viskic does a great job of giving readers a glimpse of what life might be like for someone deaf – its challenges and compensations – but her real skill is in making Caleb a complete, well-rounded human being for whom deafness is just another thing to deal with. Everyone we meet in this ensemble cast is connected to Caleb in some way. Frankie battles her own demons – addiction and the resultant social isolation – and is difficult for Caleb – and readers – to know well. Kat, conversely, wears her emotions more openly, and it’s not hard to see why Caleb is still in love with her despite their separation. As regular readers of this blog would know I’m not much of a romantic but I was rooting for them to work out their troubles. The other players – the in-laws, the childhood friends, the suspicious cops – are all vibrant even if they only appear for a few lines. The book’s title comes from Caleb’s home town, Gary’s and Kat’s too for that matter, and action eventually moves there from Melbourne when Caleb needs a place to lie low and recover from injuries he’s received in the course of the investigation. There’s a nice juxtaposition between city and small town life and both settings have a very authentic feel to them which rounds out all the elements I look for in my reading. RESURRECTION BAY is sad and funny and thrilling and very, very good. It’s even got a kicker of an ending. You should read it. Now. This is the first novel I’ve read and reviewed for the fifth Australian Women Writers Challenge. For more information about the challange check out my challenge progress, sign up yourself or browse the Challenge’s database of reviews.